The Beaver Valley Nitehawks have to feel good about their Game 2 performance in Kimberley on Wednesday, despite losing a close 4-3 tilt to the Dynamiters. 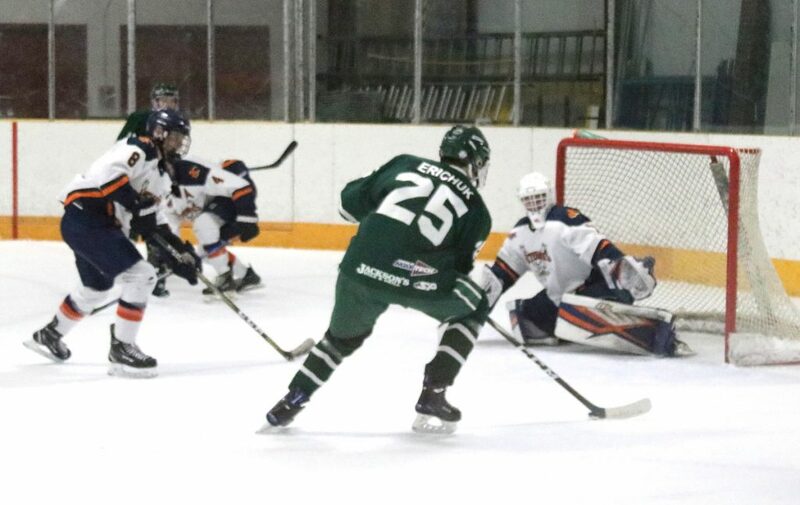 Beaver Valley returns to the Hawks’ Nest down 2-0 in the best-of-seven Kootenay Conference Final and look to make up ground. 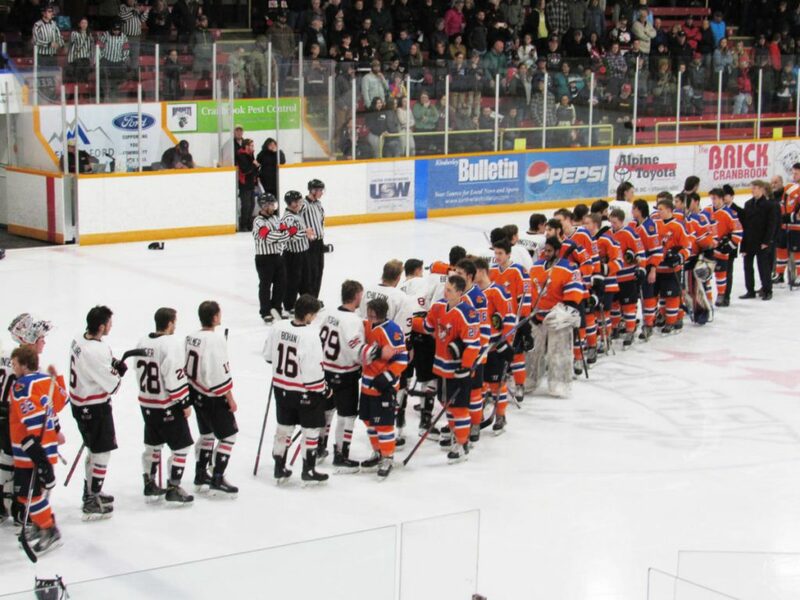 It’s the first time in the post-season that the Nitehawks have trailed in a series, while the heavily favoured Dynamiters have yet to lose a playoff game. 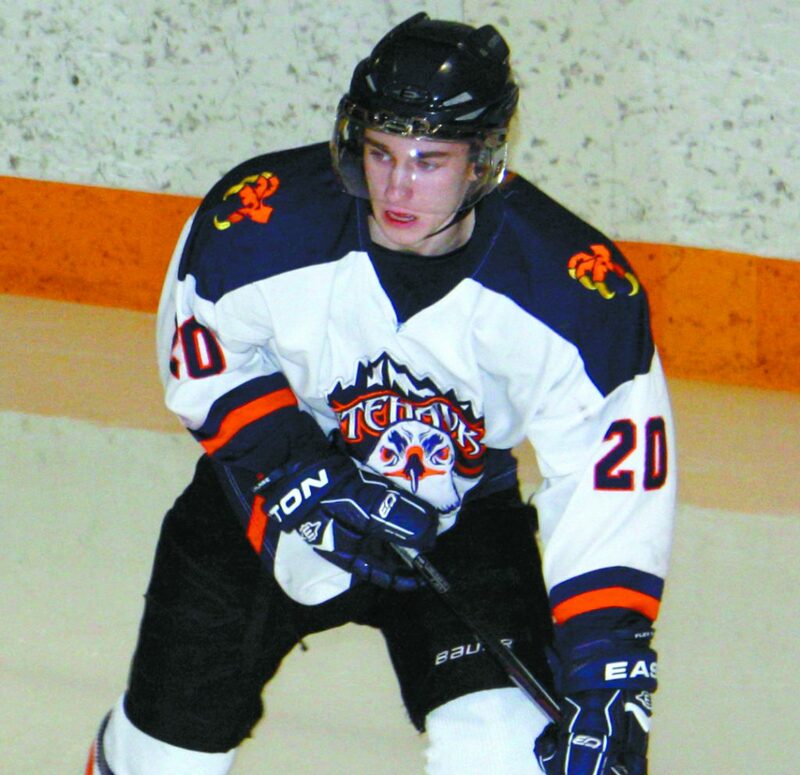 The Kootenay Conference regular-season champion is loaded with veteran talent including the Conference’s top scoring forward Brock Palmer, who tallied 27 goals and 81 points for Kimberley this season. 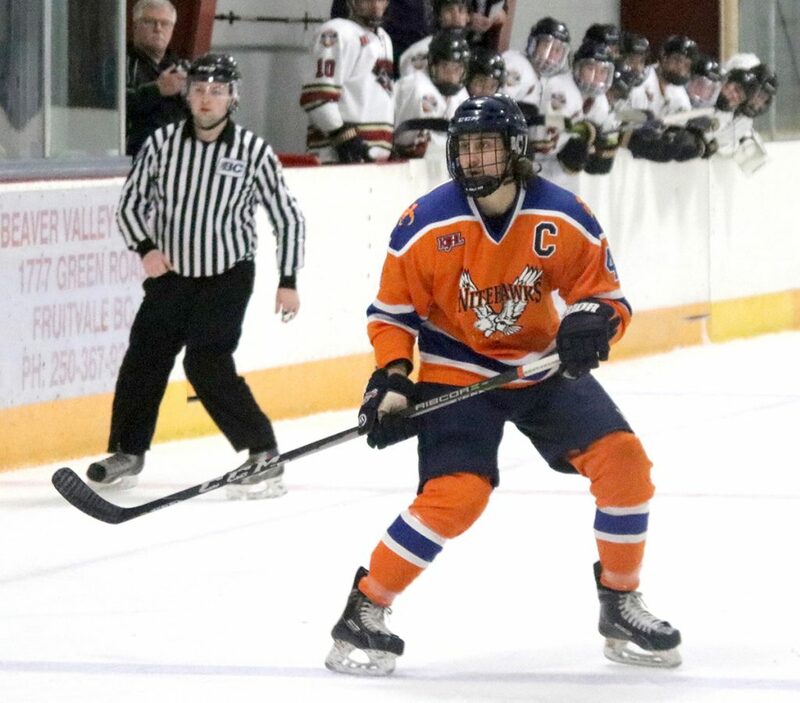 The Nitehawks, meanwhile, depend on a small but core group of veterans and several outstanding rookie recruits that have come together for an outstanding, if not unexpected, playoff run to the Conference final. After falling 3-0 in Game 1, the Nitehawks needed a better start in Game 2 if they hoped to win one on the road. However, it was Kimberley that struck first. Brady Daniels opened the scoring on the power play, finishing a setup from Cam Russell at 11:24 of the first period. The Nitehawks battled back with a pair of power-play goals from Michael Hagen and Jake Yuris to go up 2-1 at the end of the first period and give B.V. its first lead of the series. The Nitehawks came out flying in the middle frame, but the Dynamiters took advantage of a turnover and Kimberley’s Cam Russell beat Hawks goalie Noah Decottignies to tie the game at 2-2 at 13:43. Midway through the second, Angus Amadio dished to Marty Ingram at the point, and his shot eluded Kimberley goalie Adam Anderson to give the Hawks a 3-2 lead. Beaver Valley continued to press, outshooting the Dynamiters 13-8 in the period but couldn’t build on their lead. Kimberley made the Hawks pay in the third. After B.V. forward Simon Nemethy was sent off for an unsportsmanlike penalty, Kimberley forward Spencer Kennedy scored his seventh of the playoff banging in a rebound at 15:27 to tie the game at 3-3. Then with 12:19 on the clock, Derian Bamber poked the puck out of his end to a streaking Keegan McDowell, who broke in and slipped it past Decottignies for the 4-3 game winner. The Nitehawks pulled their goalie for an extra attacker in the final 80 seconds but could not find the equalizer. Beaver Valley outshot the Dynamiters 31-30 and were 2-for-7 on the power play, the Nitros went 2-for-6. 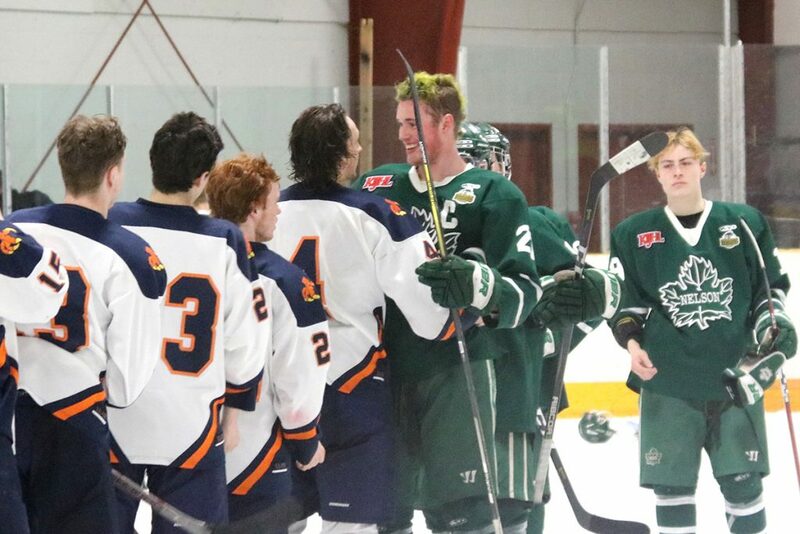 Games 3 and 4 go in Fruitvale on Friday and Saturday with the puck drop at 7 p.m.